While there is plenty to offer in the Alpes-Maritimes for a lifetime of holidays, we are tempted to share our hidden gems, our other magic holidays with our guests, including Provence away from Peter Mayle'ville, and the super unspoilt Gran Paradiso which is as tempting as its name! Knowledge of what there is for the best, gained after ten years of life here in the Mercantour. A constant being unspoilt regions which are easily accessible via good value airlines and trains..... I would!! 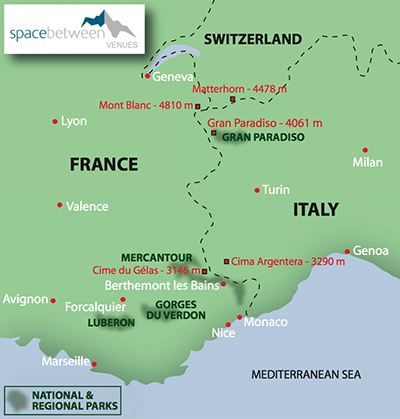 The Mountains and the Med – great back country walking with glorious views up to the Mercantour and down to the Med!! An opportunity to experience hot footing and hot eating!! !